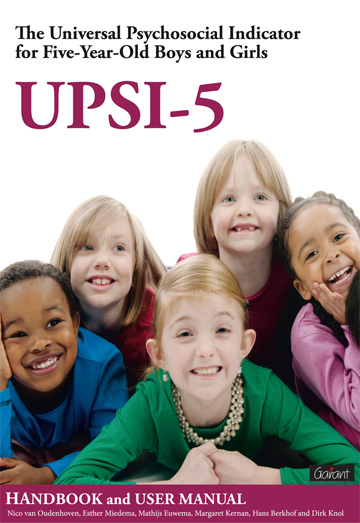 The UPSI-5 is an easy to administer instrument to measure the psychosocial well-being of 5 year old children. The UPSI-5 consists of 29 questions which can be filled in by someone, for example a teacher or a social worker. The UPSI-5 provides an urgently needed counterpart to the strictly physical indicators and mortality indicators commonly used to measure young children’s well-being and survival. - Finally, we expect that the UPSI-5, in combination with, for instance, correlations with health and welfare indicators, can be used as powerful means to support broad child welfare lobby and advocacy initiatives. Available in several language, please contact ICDI directly to obtain a copy.